The Investar Referral Program allows registered Investar App users to earn Subscription Credits/Cash Credits toward future payments by referring friends to Investar. You can even track your referrals and the reward earned in the real-time on your “My Wallet” section in App. What is the Investar App Referral Program? You refer your friends — They Register — We pay you! 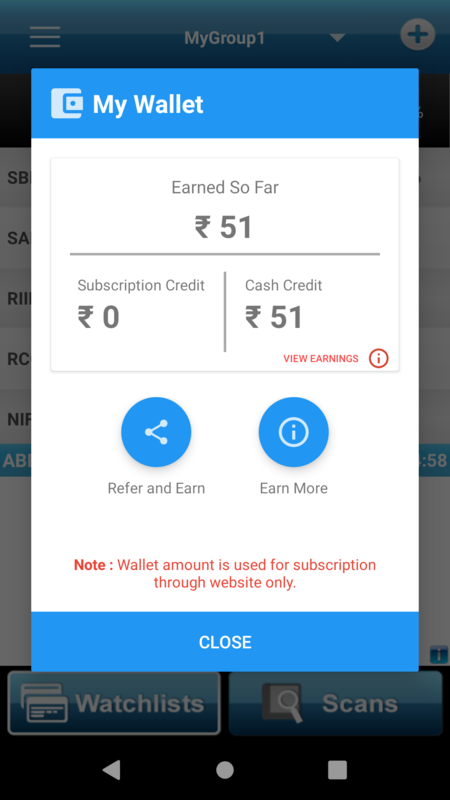 You can see there is a small dialog box with some figures.1) The amount of money that you have Earned so far 2) Subscription Credit (through Tool Payment) and 3) Cash Credit. Click ‘Refer & Earn’ and now invite friends through any your preferred medium such as Facebook, Whatsapp or any other. For each friend that registers on our App, you will get Rs.51 as Cash Credit. Please note that you cannot refer an existing user. A cash credit can be encashed once it has reached a minimum value of Rs. 5000. It can only be encashed through Investar website. In order to receive the cash credit, a user needs to fill up and submit our details on the claim form. 10% TDS will be deducted from the claimed amount before payment to the user. The amount will be encashable only in INR. After clicking Claim You Cash, the user will be redirected to Encash Your Wallet Balance page(shown below). You just need to fill up all the details and encash your cash credit. As always, If you have any questions around this, just drop us a comment here or write to us at mobile-support@investarindia.com. We’ll help you right out! 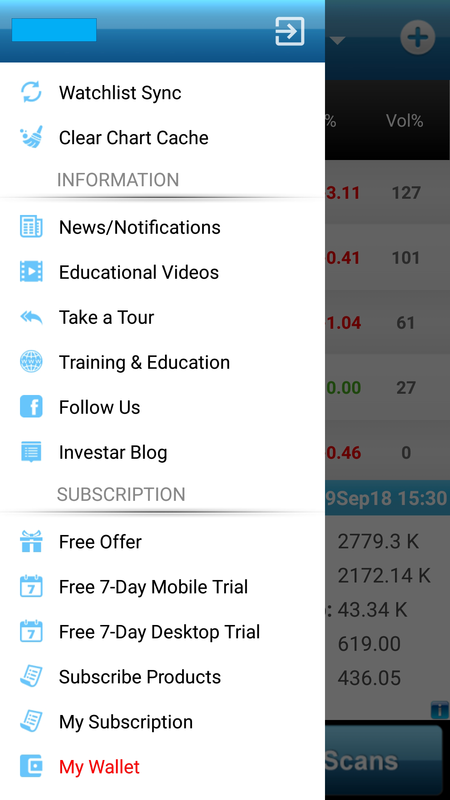 This entry was posted in Investar and tagged best refer and earn app, BSE, Earn through App, InvestarIndia, nse, refer a friend, Refer and Earn, Sensex, Technical Analysis. Bookmark the permalink.